Learn how to improve your waxing services while increasing your bottom line. Join our Lycon waxing class and learn the tips and tricks for a comfortable, speedy and effective wax. Demonstrations of the various waxes, as well as a full female Brazilian, will be performed. You will leave having gained knowledge on how to creatively market your services and how to best select your wax products to keep your customers coming back! At long last, anti-aging and healing skin care can be found in one highly specialized sensitive skin product line, Hale & Hush. Learn how sensitive skin can range from mild or periodic sensitivity due to stress, environment, hormones, chemical irritants or severe or chronic sensitivity from serious health challenges and the treatments or medications that accompany them. This class will show you how Hale & Hush is complementary to the other lines you currently utilize in your spa. Add men’s waxing to your repertoire – fill your appointment book and make more money! Discover advanced hard and soft waxing techniques, product knowledge, contraindications, sanitation and a hands-on demonstration featuring Cirepil stripless and strip waxes. Join us for a fun and informative class with chances to win money making giveaways! Interested in being our grooming model? Contact us at 800-367-2539. Join Lynn Maestro and Melissa Jannes in the Healthy Revolution: be safe and feel good. Are you interested in a high performance, respectful makeup brand positively influencing tomorrows world that is healthy for the skin and good for the planet? The future of beauty is wellness. Our values are the secret to our strength of green beauty enlightenment. We believe in organic, cruelty-free, vegan, 100% natural, mineral-based and eco-chic products, which are the highest European standards. You love Cirepil, you’re going to love her sister! Discover a simple, beautiful and affordable makeup line to compliment to your “wellness” salon/spa standards. We have created a small, retail tester display containing colors that flatter everyone and, the modular units are easy to use for quick touch ups after your spa treatments! Learn how to wax effortlessly with ItalWax. You will learn the benefits of different types of waxes and contraindications, and you will learn how ItalWax waxes can elevate your business. Waxing demonstrations including a Brazilian wax, which will be performed with ItalWax’s wide range of hair removal products along with ItalWax’s new Cleopatra wax, an innovative stripless wax made to use all over the body. Made in Milan Italy, ItalWax presents depilatory products, containing essential oils and natural ingredients. 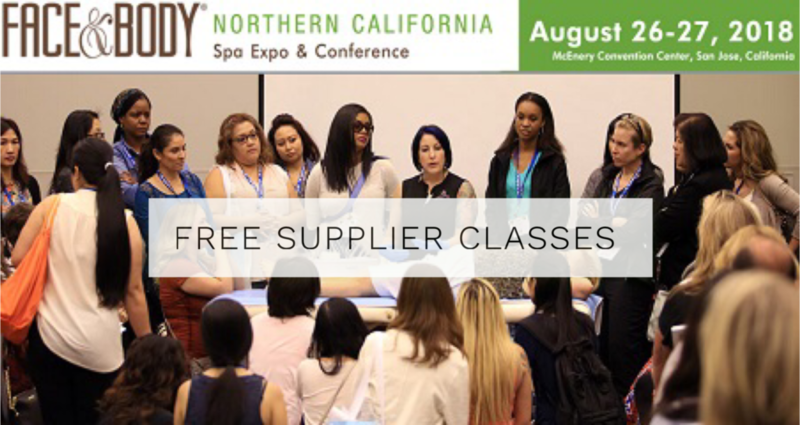 This entry was posted in Bay Area Estheticians, California Estheticians, Continuing Education, Demo, Esthetic Tradeshows, estheticians, Esthetics, Events, Lycon, Lycon Waxing, Tips, tradeshow, Tutorials, Waxing, Waxing Tips and tagged Face&Body. Bookmark the permalink.